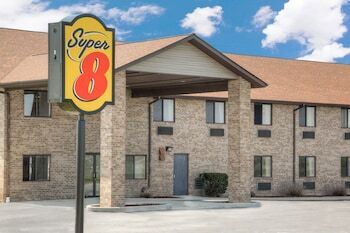 With a stay at Super 8 by Wyndham Gas City Marion Area in Gas City, you'll be 11.5 mi (18.5 km) from The Quilters Hall of Fame and 13.1 mi (21.1 km) from Shady Hills Golf Club. Featured amenities include a 24-hour business center, a 24-hour front desk, and laundry facilities. Free self parking is available onsite.